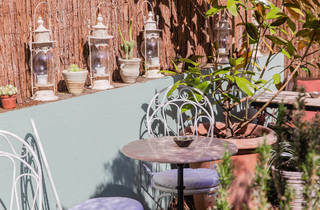 A neighbourhood restaurant serving South African small plates. There are two kinds of neighbourhood restaurant. The kind that’s cheap and cheerful, where staff know you and will be nice even if you turn up after a day of zorbing and no hairbrush. And the kind that’s every bit as welcoming, but also throws in good looks and terrific food. That is, a destination neighbourhood restaurant. 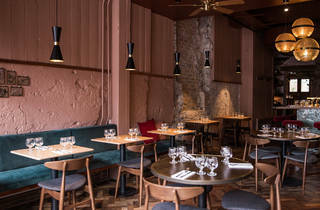 Enter Kudu, on Peckham’s Queen’s Road. The small plates menu is inspired by South Africa (a kudu is an antelope), but don’t expect exotic decor. Instead, the look is retro with a feminine side: dusky pink plaster walls and aquamarine tiles; marble tables; cute cushions on crushed velvet banquettes. A trio of fat, hanging orbs and a soundtrack of ecstatic funk. 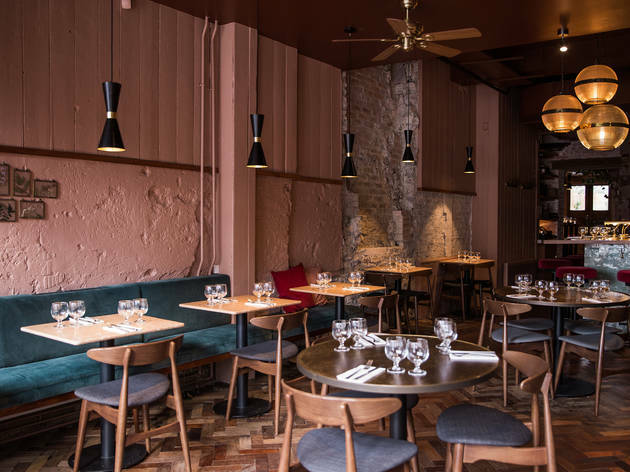 It’s the vibe of a vintage lounge bar, but you’re definitely here for the food. This is where hints of the Cape appear. Several dishes arrive in traditional cast-iron skillets, having been cooked in or over open flames, the way it’s done in the rainbow nation. Like the signature bread, Kudu’s take on a mosbolletjies (a soft, sweetish Afrikaner loaf, not unlike a brioche). Huge, puffy, and freshly risen, it was a beast that wanted to escape its pan. You tear the pillowy dough into strips and dunk it into pimped melted butter: mine came swimming with baby shrimp. Even better were the mussels, cooked in a potjie (a small lidded cauldron). The fragrant, warmly spiced coconut milk base had been strung through with greens; each of the mussels was more plump than the next, like they’d systematically been fattened up by some malevolent hag. Also in the pot: tiny, firm, seaweed-flecked gnocchi. This was comfort food with finesse. 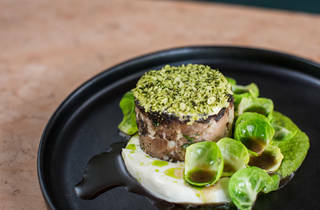 There were other fine things – a flawless tart of caramelised onions with goat’s curd and leek oil; a piece of golden skate with a creamy, tangy sauce and strands of samphire – but the star was the braai lamb. ‘Braai’ is Afrikaans for ‘barbecue’, and taken very seriously. Here, a piece of grilled lamb neck was soft, silken and came with a cheesy, herby crust. Continuing the flame-based theme, there were stalks of charred broccoli and a dollop of smoked yoghurt to the side. Barbecue plates don’t get much better than this. There was only one major slip-up: an unremarkable and overpriced dish of salt-baked carrot with kefir, miles more interesting on the page than the plate. Sorry, veggie pals. But it was quickly forgotten, because staff were lovely: switched-on, enthusiastic and sincere. 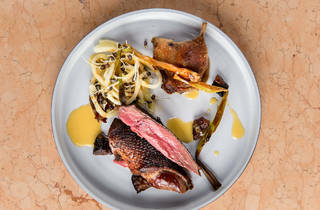 Kudu: a new feather in SE15’s cap. Our brunch on Saturday at Kudu was fantastic. 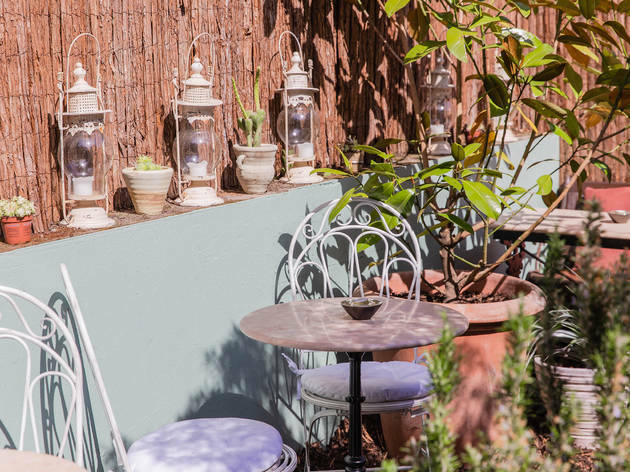 The restaurant is very pretty and the weather was great so we got to enjoy the back garden which is very well decorated with beautiful plants and garden furniture. The interior is also amazing; pretty tables, lovely wall decorations and warm colours. The staff was very friendly and the service was good. As for the food, most of us had the duck eggs with bacon on a waffle. The waffle was fluffy and tasty, the eggs were nicely cooked and had huge yolks, the bacon was slightly crispy but mostly thick and juicy and the mustard was a great addition to the dish and was balancing the flavours. I also tried their iced latte which was spot on. Highly recommended and I will definitely come back for dinner! 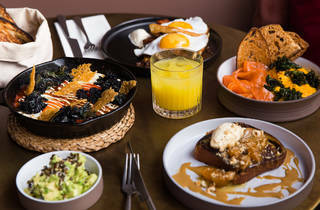 Kudu is quite simply one of the best places to brunch in London and for those North London dwellers like myself, it’s also the finest reason possible to get south and get to Peckham right now. 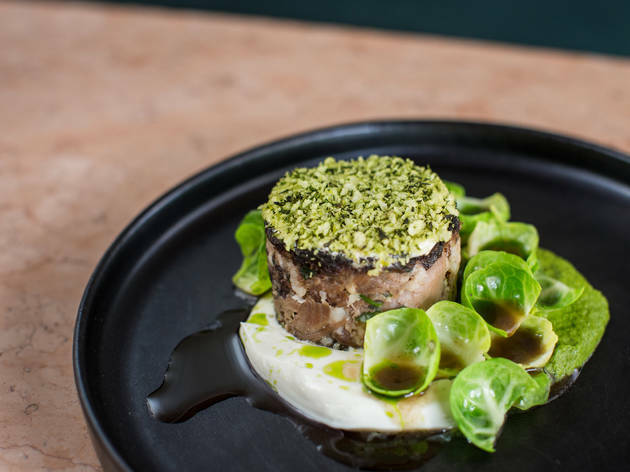 Flaunting beautiful South African inspired dishes made with local seasonal produce, this place is prettier than Oscar night Blake Lively in a rose garden with a leashful of tumbling pug puppies. All teal velvet banquettes, rugged blush walls, peachy marble tables (the cutest of which are date-night-perfect as they sit you side by side with your sweetie) and gloriously modern yet thankfully filament free lighting. Run by Amy Corbin, daughter of Chris Corbin from the Corbin & King restaurant empire, and her partner & former Paradise Garage sous chef Patrick Williams, this is a place where the service is as warm & beguiling as the country that inspires the food, a part of the world I’ve spent a great deal of happy time in. A curlicue of tender boerewors recline juicily across creamy white beans like a 1940's Victory Rolled pin-up on a hay bale and both become the perfect canvas for flashes of vivid romesco & chimichurri as well as a January-thighs-wobbly yolked fried egg. ...so don’t. Clear your plate and do the right thing. Order dessert. Make it the cloud light French toast chocolate babka, wavy with ribbons of cocoa and thick with miso caramel & citrus candied kumquats that tiptoe joyfully across your tongue. One portion is an excellent for sharing…I’d hazard a greedy guess that it’s also a splendid size for one. 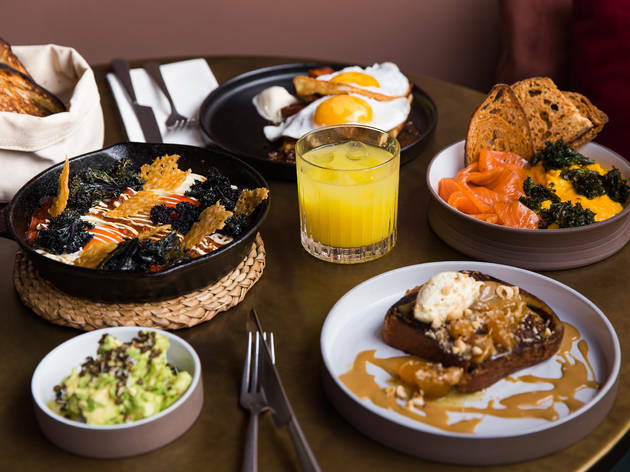 There’s much to coo over when it comes to Kudu – quintessential breakfast items are given a beautiful, international makeover and I’m envious of both the luxuriously scant interiors and the decidedly southern location. In nearly twenty years of London living, I’ve never before hankered for an SE postcode but this warmly nostalgic & beautifully contemporary spot is exactly the sort of place to turn a girl’s head, heart & stomach south of the river.